Located on the shore of a quiet bay on Farm Lake, our beautiful Ely MN lakeside campground has 4 spacious campsites. 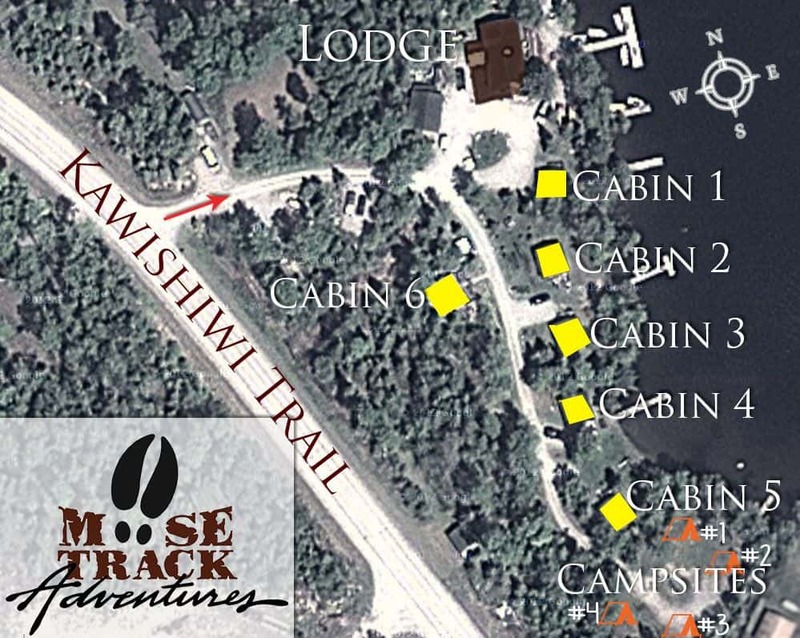 Each of the 4 sites have electric/water hook-ups, a fire ring and a wood picnic table. A men’s & women’s shower house is a short walk away with flush toilets, sink/showers with hot/cold running water. There is also a dock where boats 16′ and smaller can be docked (larger boats can be put at the main dock). Great panoramic views of the lake. Women’s showerhouse remodeled Spring 2016. Maximum of 5 people per site. Campsites require full payment at time of reservation. Check-In upon arrival to pay any outstanding balances for equipment rentals, pet fees, etc and to go over resort policies. Campsites and rental equipment will be charged for the entire time reserved. No Refunds. Deposits will be refunded only if all campsites are full during the dates reserved for your reservation minus a $25 service fee. NO dump station. **Please keep in mind you are to ‘plug in’ for electricity ONLY at the site you are renting. As dog lovers, we welcome quiet, well-behaved dogs. Noisy dogs and dogs with antisocial behavior are not welcome. Pets’ vaccinations should be up-to-date and current, and is free of ticks and fleas. Pets are to be well socialized and gentle with no vicious tendencies. Pets must be kept on a leash at all times when in public spaces and outside. Owner will clean up after their pet and dispose of any waste in a trash receptacle. Pets are not allowed in beach area. Owner assumes all financial responsibility for any damage that occurs due to pet. If these policies are not followed, you will be asked to leave, no refunds on cabin/equipment rental.